We started off the week with a bang! 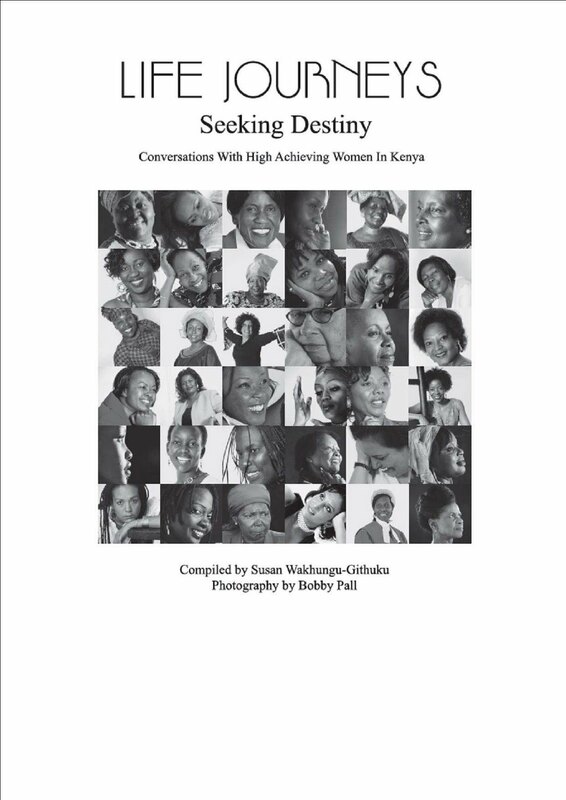 Founder and Director of Footprints Press, Susan Githuku, who is also featured on BBC http://www.bbc.co.uk/news/world-africa-14950363, was on Kiss 100's Man-up Monday with Caroline Mutoko and Jalan'go, speaking about her latest publication, "Life Journeys: Scaling Heights". Along with her in the studio were: "Life Journeys" vignettes Photographer and Photojournalist Bobby Pall; "Life Journeys: Scaling Heights" writer and renowned Citizen TV Sports Anchor Waihiga Mwaura; "Life Journeys: Scaling Heights" writer and Nation Media Journalist Onesmus Orinda; and "Life Journeys: Scaling Heights" writer and Footprints Press Sales and Marketing Exec. George Muiruri. We would like to thank Kiss 100 for the wonderful opportunity availed to us to spread the gospel of true Kenyan inspiration. This Week's "Kenya's Women and Men of the Week" are: Lawyer, Member of Parliament, and former Cabinet Minister Hon. Martha Karua; Conservationist, Dame Dr. Daphne Sheldrick; Clinical Psychologist, Author Dr. Gladys Mwiti; Conservationist, Ian Craig; Pastor, Pastor Oscar Muriu; and Gospel Artist, Preacher, and Entrepreneur, Reuben Kigame. Honourable Martha Karua is, and always has been, an indomitable force in politics. Her brilliance and wit, in Kenya's political battlefield, have kept her afloat as she remains one of the strongest candidates for the Presidential seat in the upcoming 2012 elections. At school I was continually encouraged to conform. I was among the first group of Kenyan children to be taught in English from class one onwards. We were harshly punished if we dared to speak in our mother tongues. Students were also not allowed to wear shoes to school, even if they owned a pair and girls were obliged to keep their hair short. Although I have been perceived as one of the particularly strong female MP's, my female colleagues all have their strengths, even if they do not seem assertive on the surface. Women are not elected unless they are strong and I enjoy lasting bonds with my female colleagues, despite the existing political divide. Kenya needs fixing and I am ready and willing to fix it." Dame Dr. Daphne Sheldrick is the founder of David Sheldrick Wildlife Trust. She was a Co-Warden at the Tsavo National Park - Kenya, and her love, passion, and efforts for conservation have been recognized globally. She is among 35 persons worldwide who have been honoured for having made a difference in terms of animal husbandry and wildlife conservation by being Appointed by Queen Elizabeth II of the United Kingdom, to Dame Commander of the Most Excellent Order of the British Empire, in 2006, amongst others. I was born in Nakuru and raised in Gilgil where I grew up on a farm filled with every single animal you could possibly imagine. We had chickens, ducks, turkeys, cows, sheep, horses and several wild animals. My father had arrived in Kenya as far back as 1907, one of two children. My paternal grandfather had been killed in the Boer War while fighting for the British, which forced my family to charter a boat, loaded with livestock and medicine and move from South Africa to Kenya. I believe that educating communities is key to reducing the rate at which we are losing our wildlife and natural resources. In January of last year we arranged for a group of Samburu tribesmen to travel from Laikipia and spend some time with orphaned elephants and their keepers. They were amazed by the intelligence of these animals. The Trust supports 28 different schools around the border of Tsavo. The trust is the single largest supporter of the Kenya Wildlife Service. We field anti-poaching units and mobile vet units as well as helping maintain equipment, build boreholes where needed, maintain roads, provide fuel and fence lines. 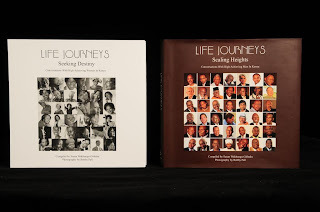 Clinical Psychologist and Author, Dr. Gladys Mwiti is the founder and CEO of Oasis Africa. She is also a Chairperson of Kenya Psychological Association. This achiever earned her PhD and MA from Fuller Theological Seminary in Pasadena, California. In 2010, she was awarded Scholar-Leader of the Year by Scholar-Leader International.
" My mother was a devout christian. When I was young, she would wake her eight children ( I am the fifth) to do chores before going to school. Despite morning chores, we always arrived early in school and so became a family of school-bell ringers. I value hard work, Integrity, faithfulness, accountability, consistency, self-discipline and family. I draw inspiration from Esther, also called Hadassah, in the Bible. She was courageous, committed, self-sacrificing and self-denying. Mother Teresa is another source of inspiration because of her passion for the poor. If she had not gone out of her way to help others, nobody would remember her today. She had compassion for people, which I identify with. Lewa Conservancy is well known, even to the Royal Family, as this was the venue of Prince William and Kate Middleton's engagement. Conservationist Ian Craig is the Strategic Advisor of Lewa Consvervancy and CEO of Northern Rangelands Trust. He has dedicated his life to reviving the Rhino and Elephant population, as well as, empowering Kenyans in North Eastern. In 2010, H.E. President of Kenya awarded him the much coveted Moran of the Order of the Burning Spear Award.
" My work at the Lewa Wildlife Conservancy and the Northern Rangelands Trust is a combination of fulfilling a personal aspiration and developing new concepts for a changing Kenya. My efforts are focused on finding space for wildlife and working with local people to benefit directly. The opportunity to fulfilling these aspirations is through schools, health care, water, and community based on wildlife to provide the foundation for investment. Good wildlife management with its associated economies will change the mindset on land usage. It remains to be said that, one cannot embark on fixing other problems without first resolving those that exist within your country. We have our own population issues and providing a rewarding life for all the citizens will be a challenge. We need to develop Nairobi’s outskirts and bring jobs to people in the rural areas. I hope that as Kenya becomes more affluent the level of education will improve, population awareness issues will increase and our economy will be able to support us. Nairobi Chapel is a Church that has had a profound impact in peoples lives, and Pastor Oscar Muriu is in charge of guiding people towards that transformation, as they adhere to the words of Romans 12:2. Pastor Oscar, as he is popularly known, has helped in nurturing the Gospel in lives within and beyond Kenya.
" Watching lives change, marriages turned around, and obstacles overcome, thrills me. 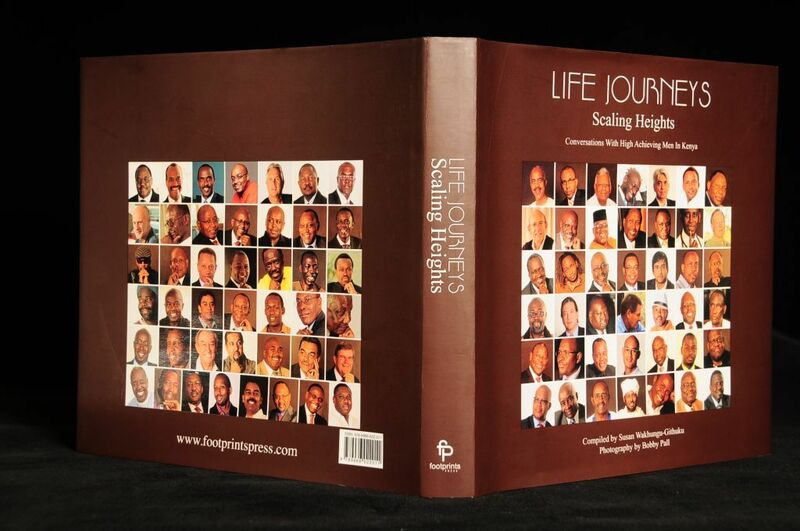 As a pastor, I think, not in terms of personal achievements, but in terms of investing in peoples lives. This is my greatest joy. I married a girl who I would not have met had it not been for my new found faith. I genuinely believe I would not be the man I am today without the beautiful companion God gave me. She kept me humble and is the one person who believed in me when I was too young for anyone else to. She is my wife, my friend and my mentor. She also helped to keep my feet firmly grounded when I was in danger of floating away. Above all, she is my greatest cheerleader. The most important decisions we make in life tend to happen in the early 20’s – who you will marry, what you will live for, what values will direct your life, what legacy you will leave behind. Unfortunately sometimes those decisions are made in a flippant manner, leading to big mistakes. I came to know Christ as my saviour just before I made those decisions and my faith guided me thereafter – it’s the best thing that ever happened to me. He is simply WOW! Gospel Artise, Preacher, and Media Entrepreneur, Reuben Kigame has Influenced Kenya’s politics in the constitutional discussions by strongly advocating for a value-based constitution that honours God and protects the people. He defended the Church position in referendum politics through civic education, media presentations, debates including one on national television. He is the Proprietor and Producer, Kigame Music Productions; Founder of Word of Truth Ministries (Director), and Founder & Managing Director of Fish Media.
" My blindness transformed me to be a God hater for a long time and caused me to deny Him. I thought of Him as a cruel God with favorites of whom I was not one. When I was fifteen I wrote a song blaming God for all the evils in this world. I also thought God was some kind of a supernatural killjoy or some kind of wet blanket who always waited to see if I was having fun before stopping me. The gospel has answers for all the fundamental questions about mankind from the origin, the present condition, salvation and destiny of humanity. I finally committed my life to follow Christ when I was in high school and I have never regretted the decision. While at the university I once again took a hard look at Christianity because I almost ditched my faith whenever we discussed determinism. I had to decide whether I really believed in this God or not. I began to sing with my family, after dinner before we prayed and went to bed. With time, I met other boys with the same interest and we put together a small band. When my father bought our first transistor radio, it was like a new discovery and right here in me was born the twin interest in music and radio. Over the years I have experimented with just about every kind of music except hard rock. 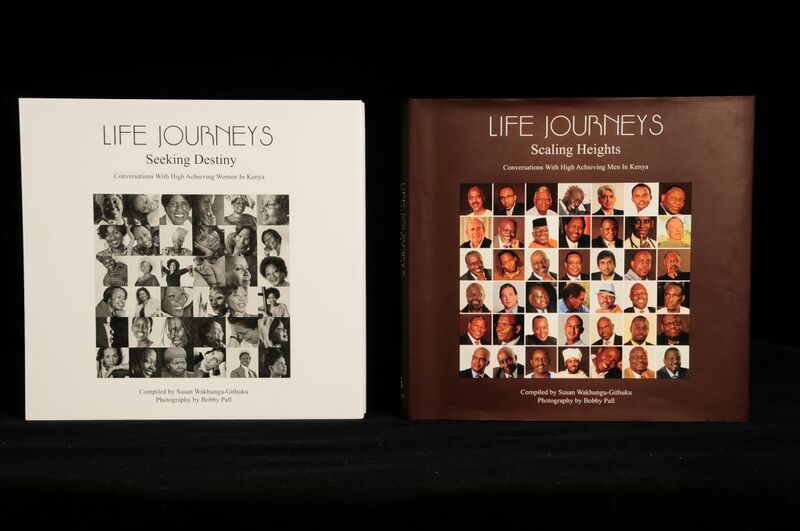 Both "Life Journeys: Seeking Destiny," and "Life Journeys: Scaling Heights" are available at Bookstop in Yaya, Text Book Center in Sarit Centre, Savanis Bookstore in Westgate, Silverbird in Westgate, Prestige next to 20th Century, African Book Service off Koinange Street, Deacons, Lisa's at Muthaiga Shopping Centre, and ABC Bookplace Ltd. at ABC off Waiyaki way.